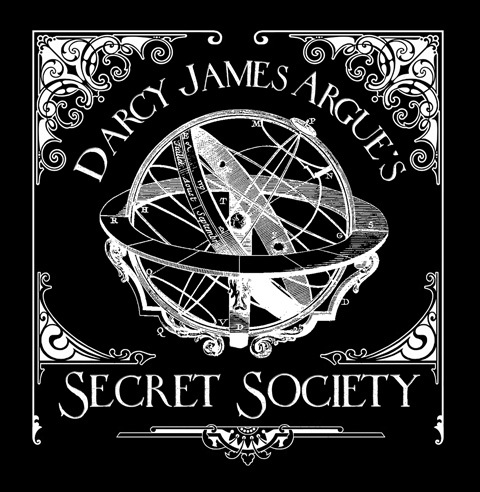 Secret Society North is the Canadian cousin to my New York-based steampunk bigband, Secret Society. It began as a response to the bigband leader's dilemma -- how the hell do you go on the road with an 18-piece ensemble? I realized I could make it work if I put together a hybrid edition of Secret Society, one that augments the core of the NYC band with some of my favorite Canadian musicians, a handpicked group made up of friends and collaborators from my years on the Montreal jazz scene. I call this band Secret Society North. Secret Society North have been invited to perform at the 2008 IAJE (International Association for Jazz Education) Conference in Toronto. This is by far the largest jazz event in the world, regularly attracting over 7,000 attendees. Our gig there is an important opportunity to present Secret Society tunes to a much wider audience, but more than that, it's a chance for us to perform fresh and forward-looking music for students and educators who too often let their focus on jazz's past obscure their view of what is happening right now. Secret Society North will also be playing non-IAJE hits at a couple of very cool venues -- La Sala Rossa in Montreal and Tranzac in Toronto. Believe it or not, this is the first opportunity I've had to present Secret Society music in my home and native land. I am planning on marking the occasion by premiering a brand-new work, written expressly for the talents of these amazing musicians. However, we cannot do this alone. It's never easy asking for money but we really do need your help to make this mini-tour happen. Like most events of this kind, IAJE does not actually pay the bands that perform there. And we do not have the luxury of a record-company supported showcase gig -- instead, we are appealing directly to you, our loyal fans. We humbly ask for your support to help us defray the travel expenses and other costs associated with bringing our innovative and genre-defying music to audiences in Toronto and Montreal that have never heard anything quite like it before. Or, if you prefer to contribute by check, that can also be arranged -- contact me for details. If you are not familiar with these tremendous musicians, take a moment to click through to their individual websites. It is my great honor to have them perform my music. Please consider joining the august ranks of those who have already made a contribution to this project. Glad to see you're finally making it up north! Looking forward to see you in january!